I need four hand drawn cs:go logs. - Each logo will be 580x300px. - Custom drawn cs:go weapon case with a weapon in the middle. 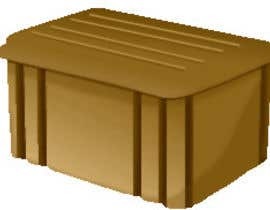 Description: This case contains 17 different M4A1-S skins. 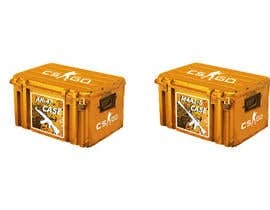 Description: This case contains 16 different AWP skins. 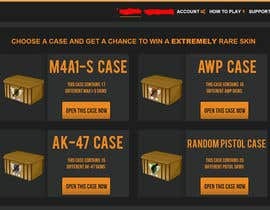 Description: This case contains 15 different AK-47 skins. Description: This case contains 20 different random pistol skins. IMPORTANT: All the cases can be the same but the gun in the middle will be different. Like this case above, but just hand drawn and where the "Vanguard" logo is in the middle, i want a logo of one of the four weapons. 30 mins left of contest, if you still working on a design tell me and i will delay it. Can I have a link to your website please? It's not up yet but here is an image: https://i.gyazo.com/1542ab2963b325d7eadb5ed413be9a52.png You see where the 1,2,3,4 are there the images will be. Thank you very much, this will come in handy. Pls #Guaranteed the Price, and do you want to Incorporate in logo "ASAP"? And do you want to put wapon type on case? Done, and i want the weapon type on the case yes as i said above. What do you mean by hand drawn? Like drawn with a brush in Photoshop or with a drawing tablet.